Six new businesses have opened their doors to the public at Nansledan, the Duchy of Cornwall’s extension to the seaside town of Newquay. Building workspace early on in the development of Nansledan is part of the Duchy’s ethos to create a mixed-use community with homes, shops, offices and public facilities all within walkable neighbourhoods. Nansledan will eventually have around 4,000 homes and it is hoped a similar number of jobs. Work started in 2014 and so far 222 homes have been built, including 60 affordable and 162 open market, plus a range of offices and shop units. A new primary school, Skol Nansledan, is under construction and will open next September with new play areas, allotments, orchards and wildlife habitats being created across the site over the next few months. Five of the businesses are located in the Art Deco Seahorse Building at the north east corner of Nansledan, while the other is located on nearby Stret Kosti Veur Woles. They are a mixture of start-ups and established local enterprises. 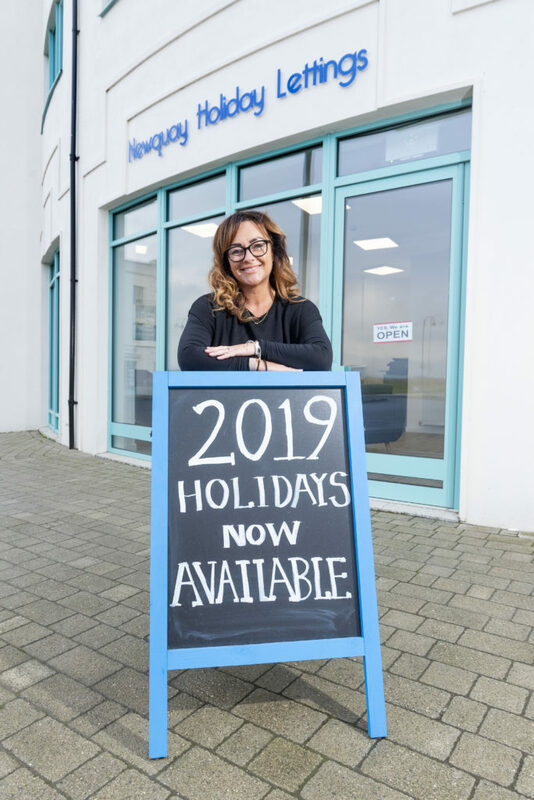 First to move in was Newquay Holiday Lettings, a local business which has relocated to take advantage of a larger space. Owner Louise Cooke said: “Whilst there are no holiday lettings in Nansledan we work across the Newquay area and this is such a beautiful space in a prime location which gives us a really great presence. We are able to offer a personal service for our owners and guests in our new office, welcoming guests for the summer as well as meeting our clients, which we previously did at our high street office which could be tricky for parking or at their homes. 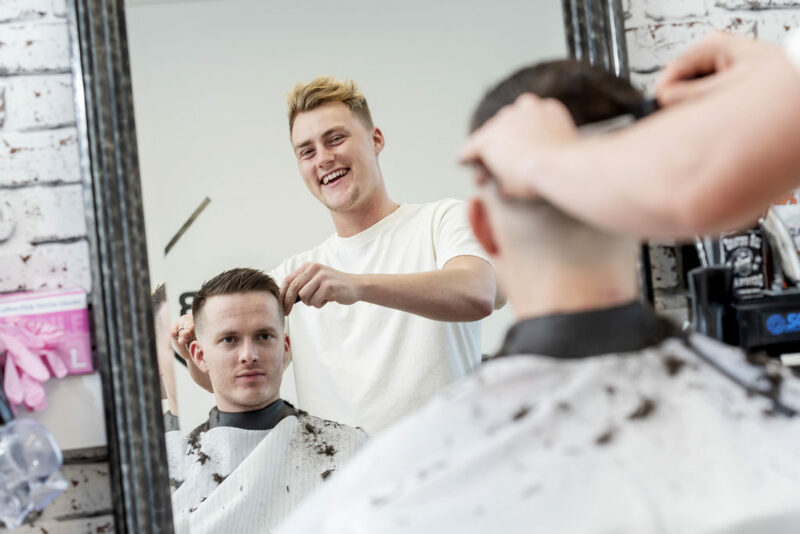 Joining them is the Barber Lounge, a new business which began trading earlier this year. Owner Danny Murphy said: “Business is going really well, I never thought it would ever be this busy. I have taken on new staff already. We are in such a great spot, it so easy to see us and there is free parking, which is really handy for our customers. I really liked the thought of having the Barber Lounge at Nansledan as there really isn’t a barbers near this end of town, and we have customers come from Quintrell Downs. 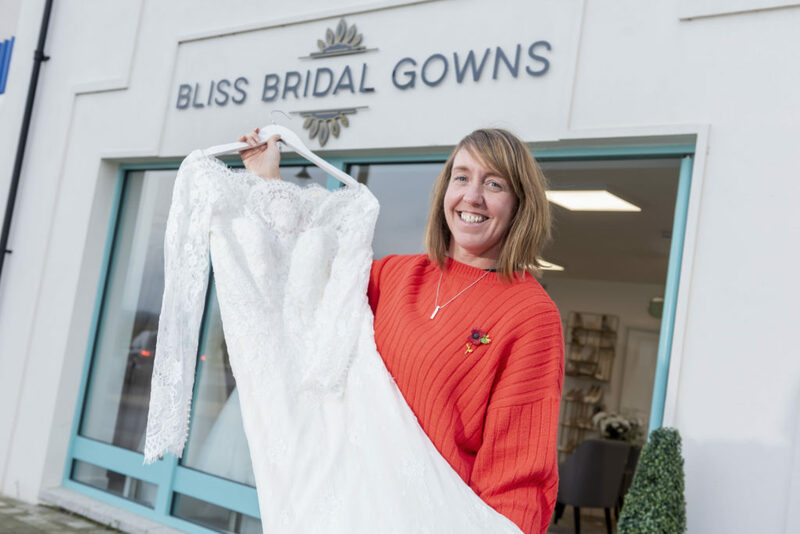 Bridal wear shop Bliss Bridal Gowns began trading in the Seahorse Building this summer. Tracy Ashton, who has owned the business for nearly four years, said: “I was previously based in Perranporth and my husband, who works as a contractor, was doing some work at Nansledan, so we came over to have a look. We drove past the unit and I thought to myself that it would be a lovely spot to have a bridal shop, and it just went from there really. 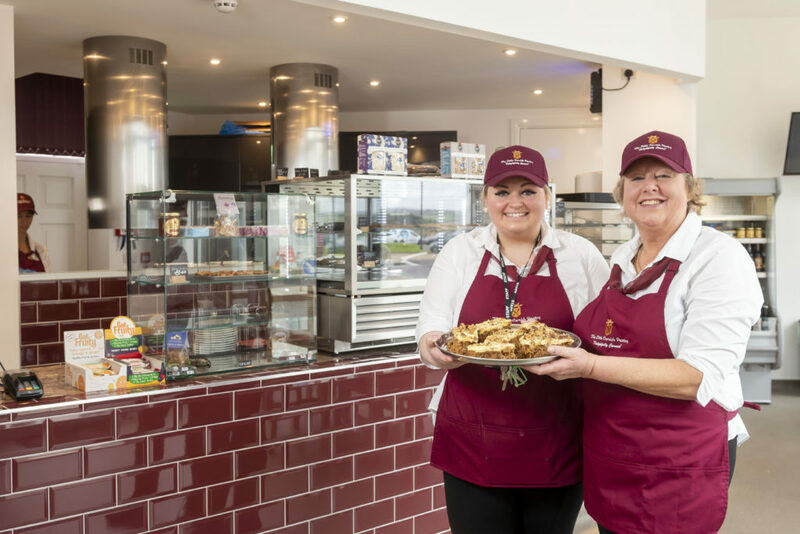 The Little Cornish Pantry, who provided the catering when HRH The Duke of Cornwall visited Nansledan in March, has also set up their first ever permanent premises at Nansledan. The Little Cornish Pantry started in 2014 as a pop-up shop and event catering business, and their Nansledan-based farm shop and café deli opened its doors in October. Alex Eley, who jointly owns the business with her Aunt Judith Eley, said: “We are so passionate about local Cornish food and drink, which we serve in both our farm shop and café deli. “We were keen to have The Little Cornish Pantry based at Nansledan as we feel that the Duchy of Cornwall’s food strategy really aligns with our own vision and values, particularly their ethos around supporting the local food and drink industry, reducing the carbon footprint and contributing to the overall sustainability of the Cornish economy. It is the perfect marriage for us. Nansledan is just on our doorstep, as we both live in Newquay and have done for most of our lives. We have worked really closely with Morrish Builders on our fit-out and are really pleased with the end result. “We are really proud to be a Newquay Plastic Free Champion which includes being 100% plastic free within the café side of the business, from our takeaway packaging to our food preparation gloves and bin liners. We have also signed up to a Waste Management Strategy which 100% avoids landfill by recycling into new products, renewable energy and a nutrient rich fertiliser. Where this is not possible our waste will go for incineration. We are just very keen to do our bit for the environment. The Blossom Room, a beauty salon owned by Hannah Payne, also opened in the Seahorse Building in October. The salon has been trading for five years, and initially began life in Hannah’s mother’s house. 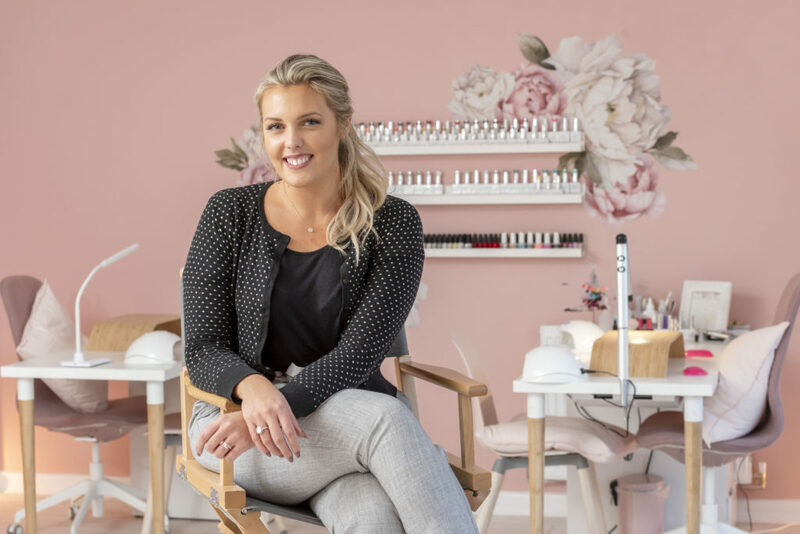 Hannah said: “I am passionate about empowering women and providing somewhere welcoming, friendly and feminine for my clients to feel great about themselves. I needed to take the next step for my business and Nansledan felt right as a new location. 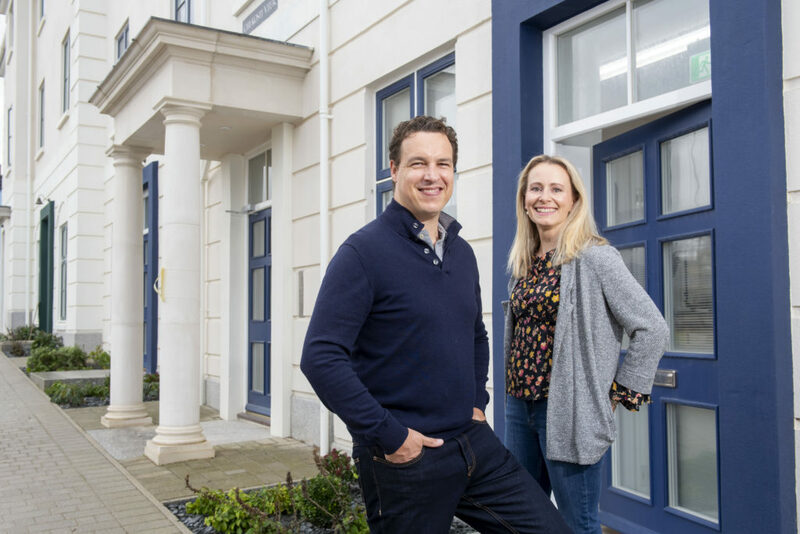 Matt and Lucy Dodgson, owners of Market Recruitment, not only relocated their business to Nansledan from Ascot but the family too, buying a home near to the new office. Market Recruitment places marketing professionals into Business to Business marketing companies, particularly in London and the South East, and is planning to expand into Cornwall and the South West. Matt said: “We looked at a few different places, but we thought that moving into a more established community would make it harder to make friends and, often, the infrastructure just wasn’t there to run our business. We came across Nansledan and we have really bought into the ethos here. We opened our office in July, just in time to meet Prince Charles on his visit here. Nansledan includes a range of commercial buildings for retail, office, industrial and community uses, available in all different sizes and typically starting from 600 to 1,000 square feet. They are available for sale or lease, and can be built to order. The Duchy of Cornwall is the landowner, master developer and estate manager of Nansledan which is being built by the Duchy and its consortium of three South West building companies, Wainhomes, CG Fry & Son and Morrish Builders.